information detrimental to society's psychological tranquillity." information is still seen as a threat to national security." controversial topics since its creation 16 years ago. newspapers have been temporarily or provisionally suspended by the courts. security" and "publicity against the Islamic Republic." The website of "Focus on Iranian Women"
970 political-social activists in an statement to Islamic Republic demanded for the immediate release of Ms. Leyla Heydari ! We demand for the release of all prisoners of conscience particularly the unconditional release of Ms. Leyla Heydari who was arrested when visited her imprisoned husband Mr. Behruz Safari ( one of the Azarbayejan activist). Up to now, Ms. Heydari has spent five months in the ward #209 in Evin prison.According to a report by HRW during this period she has been in cardiac arrest and migraine . She has also became unconscience two times during interrogation. Because of her health concern the doctors of the clinic inside the prison warned about her situation. Help stop deportation of an Iranian Atomic Energy Expert from Turkey to Iran! An assylum seeker was arrested in Turkey ! Mr. Asghar Sadri is arrested in Turkey and there is a possibility of handing him to Iranian authority. Relatives of Engineer " Asghar Sadri " an Iranian refugee in Turkey are worried about the arrest and the possibility of deporting and handing him to Iranian authority. According to the relatives , engineer " Asghar Sadri " is an atomic energy expert who left Iran on January 23, 2006 and attended in UNHCR office in Ankara-Turkey and filed application for refugee status .After 13 months waiting and living in the city of Qunieh -Turkey , he was successfuly accepted for a permanent residence in Canada. Engineer Sadri is an atomic energy expert . He is 42 years of age and has two childeren. Parliamentary election going to take place in this coming March in Iran.Here is an article expressing a view pint. By: Mehrangiz Kar ,Ahuman rights advocate and a well known women rights activist. In a situation where people do not know how candidates for the Majlis will put an end to ‎the shortcomings, many of them will participate in the election with the mentality that ‎their vote can at least help things not get worse than they are now. This kind of ‎participation, which many embark on unwillingly, is, of course, not a serious and active ‎participation. Also, one must not forget that obtaining the stamp on their birth certificates ‎is another enticement for many voters. The birth certificates that have been stamped, of ‎course, cannot change the country’s political landscape – but they have other advantages ‎for the voters. Once again the rising crisis in the university! Its been three days since last Friday Jan. 25th ,that the student protested at their dorm against the "poor quality of food" and other problems . Yesterday after the reaction by the university officials and the invasion of anti- riot police into the university campus the students protest entered into new stage.On Saturday evening More than 2000 students gathered in front of their dorm and started moving towards the enterance door of Tehran University and clashes has been reported between students and the riot-police. The students threatened the university officials to fulfill their demands and if not they will continue the protest every evening from 7-10 pm . The crisis is rising in the Iranian society under the Islamic Republic. 17 year old Mohammad Latif awaiting for gallows !IRAN WATCH CANADA previously have reported about this young man. He needs our support and help to stop this barbaric Islamic laws to take this young life away. Ms. Jamileh Kadivar a former reformist MP has protested to the guardian council for denying her competency to the candidacy in the coming parliamentary election( in March).
" I'm thinking what kind of policy has control over the country which reduces the people and humiliate them only to follow and to become obedience?" She then added:" In this country , they arrest a young doctor in the city of Hamadan, two days later they give her lifeless body to her family . If someone protested , wrote an article and said something , does it mean that he/she has problem with Islam and the system and the Velayat Faghih ( the leader) ? sometimes later, they bury the lifeless body of a young man in a cemetery in the city of Sanandaj without the presence of his family and won't allow for exhumation and autopsy , if someone asked question why such a things is happening , is she/he have problem with Islam? " Legal persecution of Bahai social activists in the city of Shiraz ! The US foreign affairs demanded for the freedom of three Bahai citizen in Iran who have been sentenced to prison term by the court of revolution in the city of Shiraz and have been in prison for months. They have been charged for " national security breach against Iran" and " propaganda against the Islamic Republic system". These three person were 54 member group of Bahai youth who had organized classes for tackeling with solving problems of subject matters and teaching living technics to childeren and teenagers of low income families. But it seems that the officials in the Islamic Republic think that the aim of their activity as propaganda for the Bahai faith which is not recognized in Iran and its followers are deprived from many social rights. The reports indicate that other members of the group are also awaiting for their trial. These 54 people were arrested on Friday May the 19th , 2007. The Bahai International Society announced that in the past there never been arrest this much as a group. It seems that Ms. Raha Sarvestani is the accused number one of the case and was sentenced to four years in prison by the court of revolution in the city of Shiraz. Ms. Sarvestani said that, she and others are member of an NGO known as World Childeren Research institute which has been registered in the country and had the permit for activity and they had also permission from Shiraz city council to organize classes for the childeren of low income families therefore they are not an illegal group . Since 2005 the number of Bahai who spent time in detention reach to 125 people said the representative from the office of the Bahai International Society in the UN. But it added that in recent years there was no report on execution of Bahai's. The number of Bahai that have been executed or killed in Iran in the years after the revolution were around 200. Ms. Raha Sarvestani said that, she spent 30 days in a Revolutionary Guards ( Sepah Pasdaran) detention centre and was interrogated and four time attended in a court and had defended herself because no lawyer wanted to take her case. "The World Childeren research Institute" has its office in Tehran and has introduced itself in its website as an independent, professional and research organization which was established on 1994 by a group of professionals and its aim was to help for the developement of childeren in Iran. There are 300,000 Bahai's in Iran and this religion is originated from Iran and the city of Shiraz is the origin of the Bahai faith in the mid 19th century . The death sentence for a child in Iran has been approved! Mohammad Latif was 14 years old when in a street fight killed another teenager. He says that he didn't commit a premeditated crime but the judge of the case think he deserve to death penalty. Shireen Ebadi: "According to the criminal law in Iran , the penal age for boys is 15 years and for girls is 9 years of age.Ane this is ,if a child at this age commit a crime will receive same sentence as an adult 40 years of age.My client Mohamad Latif two years ago when he was not yet 15 years old is sentenced to death." She said : Unfortunately the death penalty has been confirmed. "I have asked for appeal which has been rejected and at present the sentence for its final approval is in the hand of Ayatollah Shahrudi the head of the judiciary power." She requested from him because of the situation of the case and because Iran is a country that have signed the international convention on the rights of the child to prevent the death of a child who was not even 15 when he commited the crime. She said the exact date for executing the death penalty is not known . She added: I have sent this file to Unicef and other international body to stop the proceeding. At present many childeren under the age of 18 are on death row. Amnesty International has announced that in the past 17 years at least 24 childeren who were below 18 years of age has been executed in Iran. The regime is planning to kill me! Mr. Mahmoud Salehi a labor activist who is currently in prison, in a visitation by his wife told her that he is worried about the security of my life. Mr. Salehi was recently transfered to the heart division of "Touhid Hospital " in the city of Sanandaj. When his wife visited him recently , he told her that " The regime has a plan to kill me in the hospital." Mr. Salehi has spent 8 years in prison for just speaking and defending the rights of labor in Iran. He has lost one of his kidney and his other kidney is also deteriorating in Sanandaj city prison. The life of Doctor Seyed Mostafa Alavi the imprisoned researcher is in great danger ! 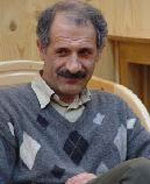 According to the news from Gohardasht prison ( In the city of Karaj), Doctor Seyed Mostafa Alavi is a medical doctor ,founder of an association called the "Association of Iranian Experts" ,he is a researcher and writer was arrested with an order from "Hasan Zare Dehnavi " known as "Judge Hadad" and was transfered to the ward # 209 in Evin prison.He was captive for several months in this horrendous ward.In September Doctor Alavi was transfered to the ward number # 7 in Evin prison and after a while he was transfered to Gohardasht prison.This prison is one of the most worse prison in Tehran and its condition is medieval. Doctor Alavi is on the 13th days of his hunger strike. The hunger strike and his acute illness damaging his eye sight and his heart and kidney problems are on the rise. His activities are reduced due to this condition. On top of this; he his diabetic and has to use ansulin injection.From the day of the hunger strike ansulin hasn't been injected to him. The acute illness and hunger strike put the life of this researcher in great danger. Mr. Alavi's rights to have visitors and any contact to his family by phone been banned by " Haj Kazem" the head of the "Gohardasht prison". Despite of his deteriorating health condition , he has been brought daily to the "security intelligence" for threat and interrogation by Ali Mohammadi the deputy to the head of the prison and Mr. Khadem ( security intelligence) and Mr. Torabi (the inspector general of the prison and the last chief of the ward #4 of the prison). While the cold is on the ridse in the winter the prison officials disconnected the heating facility and the hot water. The windows glasses of the wards are broken and no one is trying to fix it. The food condition is deteriorating by quality and quantity. The prison officials have removed red and white meet, fish , fruits and vegetables from daily food and in recent days they have put ration on sugar cube and even bread.The policy of the prison official is this : If we the regime are going to be economic sanctioned , you the prisoners must pay the price first. The Activists of Human Rights and Democracy in Iran request from all human rights organization around the world to help save the life of the political prisoners and particularly this researcher . The Association of Iranian Experts was established in 2006 with the official licence from the Ministry of Interior yet one of Mr. Alavi's charge is the establishment of illegal organization. The members of this association are all the academic-scientific personalities. A political prisoner on threshold of death ! According to the news Mr. Ali Asghar Nikbakht a 64 years old ,in the past has spent almost a year in "Golpayegan", "Bam" and "Isfahan" city prisons. During this period he has repeatedly been tortured. In the prison he was diagnosed with cancer , but the prison officials denied him medical attention until his illness worsened. Because of this situation, Mr. Nikbakht was allowed by the Ministry of Information to leave the prison temporarily for outside medical treatment.After leaving the prison , he attended to the hospital and was scheduled to undergo for three surgeries with the advice of doctors.While on his first surgery and the treatment for chimotherapy thereafter, his home was invaded by the agents from the Ministry of Information. A person by the name of "Badkhahi" the deputy to the head of the Ministry of Information in the city of Golpayegan lead the assault and Mr. Nikbakht was arrested again and first he was brought to the city jail and then the agents transfered him to the Isfahan city jail. At present Mr. Nikbakht's health situation is very bad and the doctors have adviced his son Mr. Mohammad Nikbakht that because of high infection in his blood, he will be living only between 3-6 months.Currently he is in Isfahan prison and can't do his daily personal care and only with the help of his son and other prisoners he is able to maintain his daily care. The Activists for Human Rights and Democracy in Iran condemn Mr. Nikbakht's arrest and imprisonment who is very ill and going to die in the prison. The AHRDI is requesting all human rights organizations to help save the life of Mr. Nikbakht. Activists for Human Rights and Democracy in Iran. Around 40 days have past since the arrest of several students of the universities in Tehran on the occasion of the Student Day of Action ( Shanzdah Azar = December 7 each year) which is known as a day of resistance against despotism and imperialism. Based on the length of their arrrest, illegality and maintaining in solitary confinement as well as not allowing the families to visit their loved one , the families are worried for the health of their childeren.The arrest of these students according to the Islamic Republic of Iran's constitution and ariticle 19 of the Universal Declaration of Human Rights ( that everyone has the rights to free expression ) and article 20 ( that everyone has the rights to form an association and to a peaceful gathering ) is illegal and can't be justified. We, the families of these students have repeatedly attended to the court of revolution, Evin prison and Assembly of the Islamic Council , but until now we didn't receive any convincing answer about their arrest. I, Hassan Amiri Elyasi the father of Keyvan Amiri one of the imprisoned student requesting from all the Iranian with their support prepare their immediate and unconditional release.Hoping that one day in this country no one goes to jail just because of their thought and expression. I would like to request from you to answre me that; based on what laws our childeren must spend 40 days in temporary detention under the mental torture?If there are laws in this regard, please show us, if there is none, then what is the role of the legislative Assembly? shoulden't you in the legislative Assembly or Judiciary power to stop the government to walk over the laws? If you can't stop them, then what all of you representatives are doing in the assembly which the people of Iran aren't aware? defend and promote the right to freedom of expression. This is the picture of Ebrahim Lotfolahi , the fourth year student at Noor University in the city of Sanandaj. The officials of the Islamic Republic arrested and detained him and later announced that he did commit suicide in prison.Recently cases like this brought worldwide protest against Islamic Republic. blasphemy, report Reporters Without Borders and local news sources. anti-Islamic books and starting un-Islamic debates in class. attack for reports he had written criticising local officials and warlords. Kambakhsh were a pretext meant to stop his brother from reporting. Canadian Journalists for Free Expression ( http://www.cjfe.org ). An Iranian university student, Ebrahim Lotf Allahi was severely tortured and killed in Kurdistan. In addition Hasan Hikmet Demir, a Turkish national, who had frost damage to both his legs as a result of exposure to severe cold after his prison escape before his arrest by the Iranian Intelligence Ministry, was denied a lawyer and hanged in Iran. Despite the continues crimes committed by the Iranian regime, Trita Parsi and in Hassan Daioleslam's words the Iranian regime’s lobby in the United states continue to play Grand bargain card and buy time for the regime. Justin Elliott at Mother Jones writes: "Parsi has been arguing for a while that Iran is a rational, pragmatic actor in the Middle East, not an uncontainable rogue state on an unswerving path to nuclear holocaust, as the country is so often portrayed." One wonders why the president of the National Iranian American Council and a so called Iran expert and scholar finds the Iranian regime a rational and pragmatic one! Three Turkmen have been killed and 300 have been arrested in Iran. Their families are not notified of their whereabouts. The 1,100,000 Turkmen are a major ethnic group in Iran. (Washington, DC, January 19, 2008) – Iranian authorities should investigate the sudden deaths of two people while in custody in northwestern Iran, Human Rights Watch said today. Ebrahim Lotfallahi, 27, died in the detention center in Sanandaj sometime between January 9 and January 15. Zahra Bani-Ameri, a 27-year-old female physician, died in October while in custody in the town of Hamedan. In both cases, officials claimed the cause of death was suicide. Security forces arrested Lotfallahi on January 6, 2008 as he was leaving the Sanandaj campus of Payam Noor University. Lotfallahi’s family does not know what charges, if any, the authorities had brought against him. Three days after his arrest, Lotfallahi’s family visited him in the Sanandaj detention center. His brother told Human Rights Watch that Lotfallahi was in good spirits and seemed fine at the time of the visit. On January 15, officials from the detention center contacted Lotfallahi’s parents and informed them that they had buried their son in a local cemetery. The officials claimed that Lotfallahi had committed suicide in his cell. The family told Human Rights Watch that they plan to ask the authorities to exhume the body for a forensic determination of the cause of death. The death in custody of Bani-Ameri also occurred under suspicious circumstances. 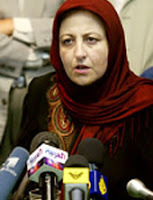 On October 12, 2007, police and security forces arrested Bani-Ameri and her fiancé in a public park in the city of Hamedan on charges of having an “illegal relationship.” According to Iran’s Islamic Penal Code, “immoral” relationships between men and women who are not married may be subject to criminal punishment. On the following day, prison officials informed Bani-Ameri’s family that she had committed suicide in her cell. In statements at the time to the Iranian press, Bani-Ameri’s brother claimed that she had seemed fine during telephone conversations he had with her, including a call 30 minutes before the time of her reported death. Iranian Nobel laureate Shirin Ebadi is representing the Bani-Ameri family in their lawsuit against the officials responsible for her arrest and detention. United Nations Principles on the Effective Prevention and Investigation of Extra-Legal, Arbitrary and Summary Executions provide that there shall be “thorough, prompt and impartial investigation” of all suspected cases of unlawful killing, including where complaints by relatives suggest unnatural death. The principles state that if the “body has been buried and it later appears that an investigation is required, the body shall be promptly and competently exhumed for an autopsy [which] shall be available to those conducting the autopsy for a sufficient amount of time to enable a thorough investigation to be carried out. … In order to ensure objective results, those conducting the autopsy must be able to function impartially and independently of any potentially implicated persons or organizations or entities.” The principles also state that families of the deceased and their legal representatives shall have access to all information relevant to the investigation, and have the right to insist that a medical representative be present at the autopsy. Previously, Human Rights Watch has documented and raised concern about the abuse and torture of detainees in Iran. Two reports, “You Can Detain Anyone for Anything” (http://hrw.org/reports/2008/iran0108/) and “Like the Dead in Their Coffins” (http://hrw.org/reports/2004/iran0604/) documented the mistreatment of dissidents and perceived critics of the government in detention centers. 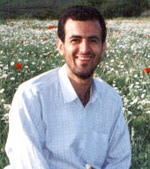 In August 2006, Human Rights Watch expressed alarm over reports of past torture and suspicious death in custody of student activist Akbar Mohammadi (http://hrw.org/english/docs/2006/08/03/iran13895.htm). In December 2006, Human Rights Watch called on Iran’s Judiciary to investigate the arbitrary detention and alleged torture of bloggers arrested in 2004 (http://hrw.org/english/docs/2006/12/12/iran14824.htm). I, Behruz Javid Tehrani in protest to the complicated situation of Mr. Mehrdad Lohrasbi, Mr. Seyed Mostafa Alavi , Mr. Khaled Hardani and Mr. Babak Dadbakhsh and the worsening condition of other political prisoners start the hunger strike from Jan. 15/2008 . In recent days the situation of political prisoners in "Gohardasht prison" in the city of Karaj has been deteriorated and the prison officials increased the pressure on political prisoners by cutting off the heating system, not paying attention on adequate medical and hygene care and increasing the threats on political prisoners through criminal prisoners. Also, during the past days,some prisoners of the ward number five of the " Gohardasht prison" in protest to the worsening condition of the prison gave slogans. At present two political prisoner Mr. Babak Dadbakhsh and Mr. Behruz Javid Tehrani by sewing their lips started their hunger strike . Also, Doctor Mostafa Alavi and Mr. Mehrdad Lohrasbi are in hunger strike. The "Collective Human Rights Activists in Iran" are worried about the health situation of political prisoners of this prison and call all human rights organizations of the world to react about the worsening situation of political prisoners in Iran. A student has been killed under the torture ! According to the news received from Kurdistan, On Wednesday night , Mr. Ebrahim Lotfolahi , student of the "Payame Nour University" has been killed under the torture conducted by the interrogators from the Ministry of Information in the city of Sanandaj. According to the reports, after leaving the exam on Sunday Jan. 6,2008 ,Mr. Lotfolahi was arrested by the order of the division number three of Sanandaj city prosecutor's office and was transfered to the office of the Ministry of Information in the city of Sanandaj.His family members were successful visiting him last Wednesday .Despite of repeated attempt by the family for knowing his whereabout, the prison officials kept quiet and also didn't provide any reason for the arrest. Based on the report, the person in charge of the interrogation from the Ministry of Information in the city of Sanandaj was a person with the name of Mehdi Mola-vali with the alias as " Hatefi". Mola-Vali is the deputy of the person in charge of the Information Ministry in the city of Sanandaj. He is also the person in charge of appointing people for the Ministry in Kurdistan. This morning when the killing of this student was reported in the city of Sanandaj and in "Payame Nour University", the situation become tense and the plain cloths agents were stationed in different parts of the city of Sanandaj. Nine more students have been arrested in Tehran! Based on the news received , Mr. Morteza Eslahchi, Ms. Anahita Hossaini, Mr. soroush Sabet , Mr. Mohammad pourabdolah , Ms. Sanaz Alahyari, Mr. Amin Ghazaei, Mr. Bijan Sabagh , Mr. Soroush Dashtestani and Ms. Bita Samimizad are the nine students of Tehran University who have been arrested the other night in Tehran.It seemed the number of those arrested be more than the nine people. There are no news about these students and no news on their whereabout.The calculated guess is that these students are detained in Evin prison. The families of these students announced that : " their childrens didn't return home since yesterday afternoon and their cell phones are not responding" and they are worried about their childerens. It has been said that the number of students arrested reached to 60 students. In the past on December 2 and 7 around 30 students activist belong to the marxist group were arrested by the agents of the Ministry of Information and were transfered to the ward number 209 in Evin prison. Hands off blogger in Saudi Arabia! Middle East can no longer stay the old way, Change is imminent. Undemocratic States like Saudi Arabia will vanish if resist the new trends. Saudi Arabian King and other undemocratic ( Almost all) must bring the reform or face the struggle by new generation for democracy . IRAN WATCH CANADA support the bloggers and Free Expression around the world as well as Saudi Arabia. arresting its first blogger. Fouad Al Farhan, considered by many as being the dean of Saudi bloggers for being among the first to blog in his country using his real name, has been arrested in Jeddah. No further news is available for the reasons for his detention. Searching for freedom, dignity, justice, equality, public participation, and all the rest of lost Islamic values, and for Raghad and Khetab. Saudi blogger Fouad Al Farhan has reportedly been arrested, according to Bloggers Observatory. He was taken into custody at his office in the city of Jiddah on December 11. Here is the translation of the Bloggers Observatory post, courtesy of Tharwa. Fuad is considered one of the first Saudi bloggers to use their real name when posting. He dedicated his blog to a frank discussion of the various social and national issues, in a true embodiment of the slogan of his blog: "in search of freedom, dignity, justice, equality, consultation, and the rest of lost Islamic values… for Raghad and Khattab." The authorities are believed to be dismayed with Fouad for his support of the "Ten," the ten Saudi academics who were arrested earlier this year for their alleged involvement in funding terrorism, albeit the charges have yet to verified. A group has arisen to agitate for his release, Free Fouad. The rest of the story and updates below the fold. Update: CPJ writes that Fouad was called before his arrest by a representative of the Saudi Interior Department and told that he’d be apprehended and questioned several weeks from that time. He sent an email to friends, that the CPJ quotes. "The issue that caused all of this is because I wrote about the political prisoners here in Saudi Arabia and they think I’m running an online campaign promoting their issue," al-Farhan wrote in the e-mail, which is currently posted on his blog. He wrote that the agent promised to detain him for only a short period if he agreed to sign a letter of apology. "I am not sure if I am ready to do that. Apology for what?" he asked in the e-mail, adding that he does not want "to be forgotten in jail." Update: Menassat links to an archive of Fouad’s previous blog, which he was forced to shut down by the Saudi police last year. Update: There is a Free Fouad group on Facebook and an entry on Wikipedia. The first mainstream media organ, PC World, finally picked up the story and now the Washington Post (who licenses PC World’s content) has published it, as well as the Guardian have it. Considering news cycles, the story is likely to trail off after a week or two unless measures are taken to keep the story alive. Update: Arab News (via Mideast Youth) reported that the Saudi Interior Ministry has confirmed Fouad’s detention. Maj. Gen. Mansour Al-Turki, the spokesperson for the ministry, said Al-Farhan was being held for "interrogation for violating non-security regulations." Further details on the reasons for the detention weren’t disclosed and the ministry spokesperson would not say if the interrogation had anything to do with Farhan’s web journal. Update: Blogger for Freedom points us to a petition for Fouad’s freedom. Only 362 people have signed it, so please visit and add your name. Your letter will be sent to the following people. Update: A Day of Blog Silence to Protest the Imprisonment of Blogger Fouad Alfarhan has been planned for Sunday, January 6. Download a banner to post on that day. Update: According to UPI (via EarthTimes), Fouad was allowed a visitor today (January 6). A relative has been allowed to visit a Saudi blogger jailed nearly a month ago on unspecified charges. Fouad Al-Farhan was seen by his father-in-law Saturday at the Dahban Prison in Jeddah where he has been locked up for the past 27 days, Arab News reported Sunday. Al-Fahran, 32, runs a blog focused on Saudi politics; however, it was not yet known if his arrest had anything to do with the online discussions. Saudi law allows detainees to be barred from contact with family members, although some human rights activists say Al-Farhan should be allowed to see a lawyer. A friend told Arab New Al-Farhan was in good spirits when he met with his in-law, but hadn’t been told why he is being held and faces a daily 15-minute round of questioning. The other day security agents in the city of Sanandaj ( Kurdish city)arrested Ms. Fatemeh Goftari the mother of Yaser Goli the imprisoned student and brought her to detention centre. "Yesterday my mom was arrested, my father was also detained a few weeks ago for a week and my brother Yaser is also in prison for four months now." " We were all in the house at 11:00AM when telephone rang, i took the receiver, it was the agent from the Ministry of Information, a person by the name of Hatefi, I recognized his voice, because he was always calling us, so he seemed like a member of the family to us, the caller said: Give the receiver to your mom, i wan na talk to her , my mom talked to him, he told to my mom: come quick to the reporting headquarter and receive some of Yaser's belonging, me and my mom started going to ward the headquarter, we had a bit of distance to the headquarter when suddenly a car ( Pejo -green color) with three passenger stopped in front of us, the passengers came out and arrested my mom and took her away by force with the car,they had an order which was signed by the division number 4 of the court of revolution, and astonished , i just watch their action "
This is the daily story of hundreds or may be thousands of Iranian women and men , students, teachers, workers , minorities, journalists, writers, human rights advocates , women activists , lawyers, film makers and.........This is real drama in Iran. In memory of Ahmad Ashour Pour the Iranian singer who has died this morning. Ashour Pour was from Northern Iran and loved his people , his country and all of his life struggled for democracy , peace and social justice. About dealing with different group of Marxists students who have recently become active in several universities, these people have been identified and their major elements are arrested and their case file is under review. In this meeting, he also warned those who have classified documents and by publishing wanted to agitate and disturb the public.He said these people's action is wrong and they must be stopped. The students are under torture in Evin prison! The freedom and equality loving students of the universities in Iran have released a statement and reported of the continuous torture in Evin prison. It has been reported that the students in Iran are worried about more than 30 imprisoned students who are in special security units. These units do not have any communication with the outside world and even it is out of the sight and reach of the Evin prison officials. The political prisoners enter into these special units and without any supervision they go under severe physical, sexual and mental pressure. Despite the release of few left wing student activists in cities, yet there are more than 30 of our colleagues in Evin prison and are in solitary confinement in Tehran. In the 30 years political life span of the Islamic Republic, we have witnessed many people with dissent thoughts , opinions and speech were sentenced to long prison term without any subpoena or sentencing and many of these prisoners never been released and were executed. Many of those political dissidents who were able to escape to other countries and came alive from these prison’s , in many ways , many times in the form of speech , article , book , film and commemoration events ......have explained about the tortures of themselves or their colleagues in the Islamic Republic's prisons, particularly the horrendous Evin prison. The labor activists, student activists, political and social activists based on a lottery or division on responsibility of these two security agencies, without any subpoena from Justice Ministry, in street, workplace, home and recently in universities, have faced with sudden attack by the plain cloths agents and after handcuff and blind fold were transferred to one of these arbitrary wards. It is only after the release of political prisoners from prison, when a few angles of the horrendous condition of the ward number 209 and 325 comes to light and it is then we can understand what has really went on to the socio-political activists. Many of freedom and equality loving students were kidnapped in Tehran University and detained on Dec.3 and 4 before student protest on the occasion of Student Day( Dec. 7) .Those who have been arrested on Dec.3,2007 were the organizers of the student protest and those arrested on Dec. 4 were the participants and supporters of the detained students. The first group, were generally attacked by unknown and plain cloths agents and the 2nd group were kidnapped or arrested by sudden attack of the regime’s security forces inside the university or in the streets around the university . The shocking point is that; the home of many well known left wing students was searched by the security forces while they had order from ministry of Information and public prosecutor’s office, but after three weeks the regime denies any information about these students and there is no news about them. Regretfully, until now, Mr. Saeed Habibi, Mr. Behruz Karimizadeh, Mr.Majid Ashraf Nejad, Mr. Yaser Pirhayati, Mr. Payman Piran and Mr. Mehdi Grailu, the outstanding left wing student forces and members of the radical student for equality and freedom didn’t make any call to their families and the regime is also denying of arresting them and having news about them. All of the students are banned from their families visiting them. All of the detained students are banned for having lawyer. The lawyers are banned to attend in interrogation sessions. The judiciary and security officials don’t allow the prisoners sign the lawyer-client consent form. All of the detained students are banned for making call to their families. Few of the detained students who were able to phone home and talk with their families were cut short. The Marxist students of Iran are very worried about the situation of more than 30 of their colleagues who are captive in the wards of the special security forces of Iran. These wards don’t have any communication with outside world and even it is out of the sight of the main Evin prison officials. The political prisoners get into these wards and with the lack of supervision, undergo with severe mental, physical and sexual interrogation for “imparting the information”, “self-accusation”, “breaking the alleged accused”, “false confession”, and “case making”. While the political prisoners are seated on steel or wooden chair and facing the wall, they are forced to answer the oral or written questions of the interrogators, and these interrogations will continue for several hours and without any break. If the political prisoners won’t cooperate with these interrogators or resist on “self -accusation “will enter into the “black hours”. The interrogators begins insulting, particularly to all family members, specially they use the most indecent sexual insult to female members of the family of prisoners, the insult together with continued threats and normal punches to the neck and shoulders follows with torture at night. According to the interrogators, next step starts with those who are the “guard breaker” who have special expertise in beating the prisoners . The prisoners for torture are going to be transferred from the interrogation room to the basement, generator room or special backyard. The voice of the “ guard breakers “are always loud. Rain of insult and threats begins. They ask the prisoner continuously to seat and to stand and the prisoner must choose one between the following their order or receiving punches. At this situation the “ guard breaker “ continuous speaking about the sickness of father or mother , hearth attack of mother upon hearing about detention of her son , having an order from the judge to torture, long time imprisonment and others. As soon as the seating and standing becomes slow, the rain of punching and kicking will force the prisoner to continue the order. Slowly the prisoner becomes weak, tired and feel numbness at his/her foot joints and it is at this point a new stage of pressure by “ guard breakers” start. They order the prisoner to stand on his on foot, for not following the order means continuous punch to the stomach and slaps. Standing on one foot makes the prisoners increases the weakness to the point where it becomes hard to stand on one foot. The “guard breaker “based on experience can quickly recognize this situation. The hitting begins from behind with the external sharp edge of the foot to the knee joints. Every hitting bends the whole knees and destroys the balance and sharp pain begins in the feet. After a few such hitting and then the hitting with the sharp edge of the hand to the neck starts. Punches that falls between the two shoulder blades and on spinal column make the eye sight blurred. The prisoner many times fall in this situation but the “ guard breaker” pour cold water on the prisoner keeping him awake. Sobhesadegh Newspaper, the Weekly political,cultural and social newspaper of " Sepah Pasdaran" ( the Gurdian Corps of the Islamic Republic), has a report that i didn't want you to miss reading it. The title of this report, a quote from the leader of the Islamic Republic reads as: "Rumors mongering media in West about the violation of human rights in Iran." According to the report, the leader of the Islamic Republic called "the rumors mongering as one of the style of the media in the West" . Mr. khameneei also called propaganda of the west about "the lack of democracy in Iran as another political pressure of the west for weakening the self-confidence of the nation of Iran." Mr. Khameneei added the negative propaganda of the west about women issue in Iran as another lever of political pressure on nation of Iran. He pointed out that women's rights are being violated in Western liberal democracy. He said : "These rumors mongering doesn't have effect inside Iran ." Mr. Khameneei can't fool the people of Iran any more. Technology won't allow that. Human Rights Advocates in Iran: Mr. Abolfazl Abedini Nasr, journalist in Khuzestan province is sentenced to one year imprisonment! According to a news , on Monday division number three of the court of revolution sentenced Mr. Abolfazl Abedini Nasr, a journalist from Khuzestan province to one year imprisonment. Mr. Abedini was working as economic reporter for " Bahar " newspaper in Khuzestan. He is arrested in connection to covering the workers strike of sugar cane factory in " Haft Tapeh" . He is sentenced to one year imprisonment which would follow as six months jail term and the other six months as suspended sentence. He is charged with : "propaganda against the system" and " publication of lies" . "The Human Rights Advocate in Iran" condemn the oppression over journalists and calls the human rights organizations attention to the violation of human rights in Iran.